Happy Friday everyone. I hope you have had a fabulous week and have some fun plans for this Memorial Day weekend! I plan on spending lots of quality time with family and friends soaking up the sun! 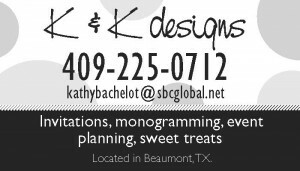 When Mrs. Vicki Bauer of Bauer Ranch contacted us about helping her launch her beautiful venue we were beyond thrilled! 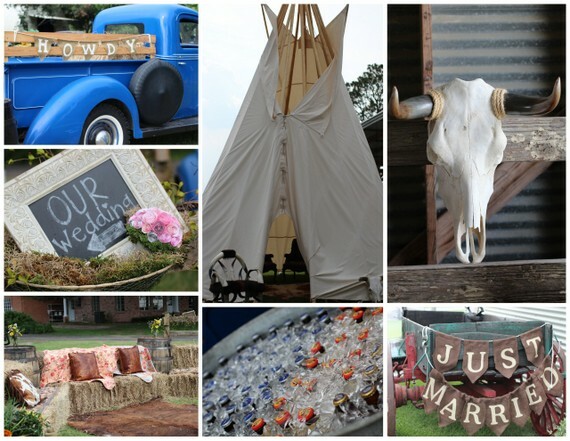 When you think of a classic Texas ranch wedding this is the picture that comes to mind. With century old oak trees, a beautiful gazebo snuggled next to a picturesque pond and a red barn! What more could a country girl ask for?!?! 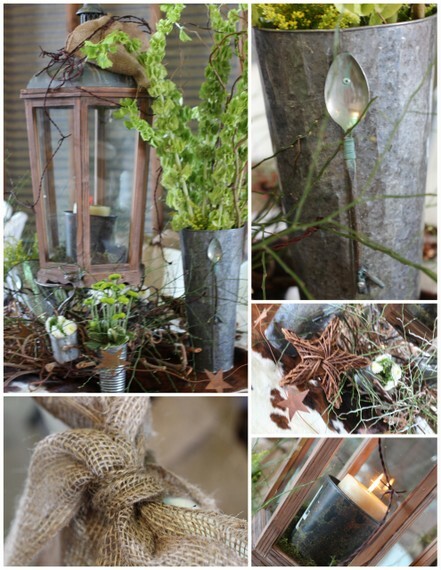 We though it would be fun to get some of our vendor friends on board so we asked several of the areas top Wedding Designers to create a table. It was so much fun to see what everyone came up with! 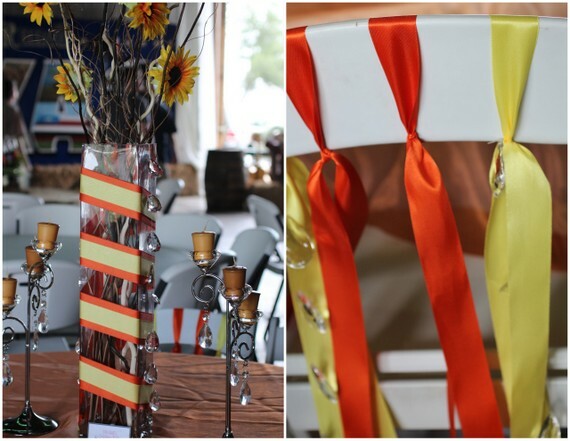 Michelle of MeShell’s Wedding Bells did a vibrant orange and yellow table with crystals and whimsical ribbons for the chair treatment. 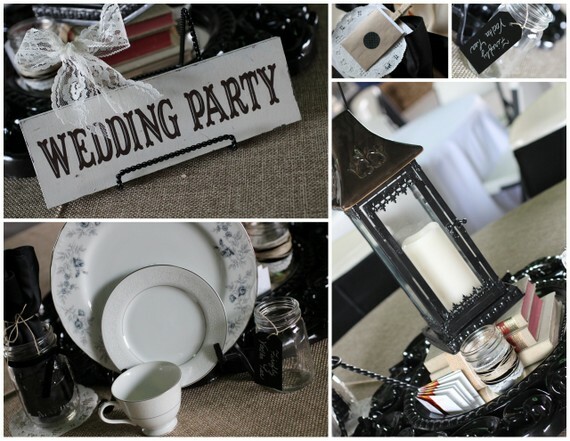 Tina with A Style Collective used a neutral pallet of black and tan with fun accents of doilies and chalkboards. 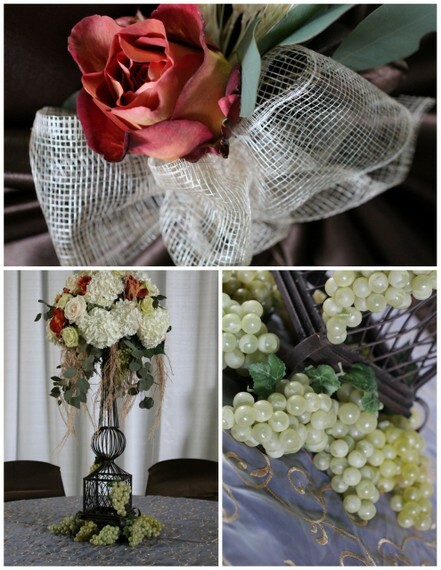 Stephanie of La Belle Fleur had a stunning centerpiece of lush flowers, iron and grapes and I just loved her rose chair treatment. 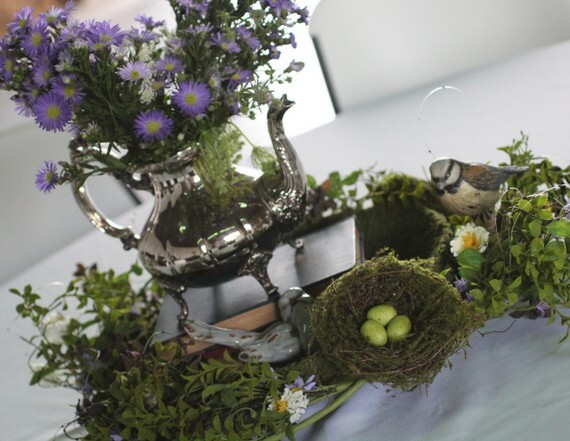 The lovely ladies of Occasions, Lavonia and Holly, had a fun rustic tablescape of twigs, candles, these adorable tin flower pales and Bells of Ireland! 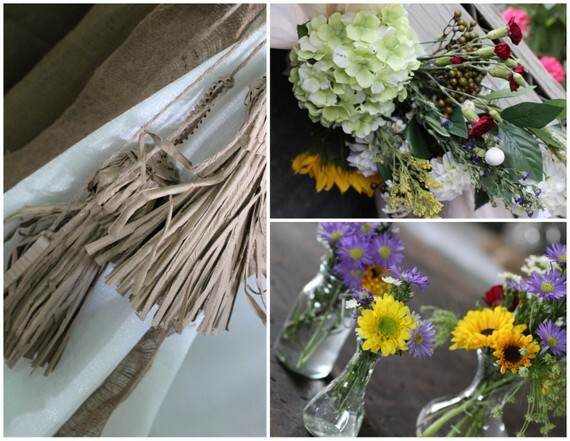 Oh, and burlap chair ties! 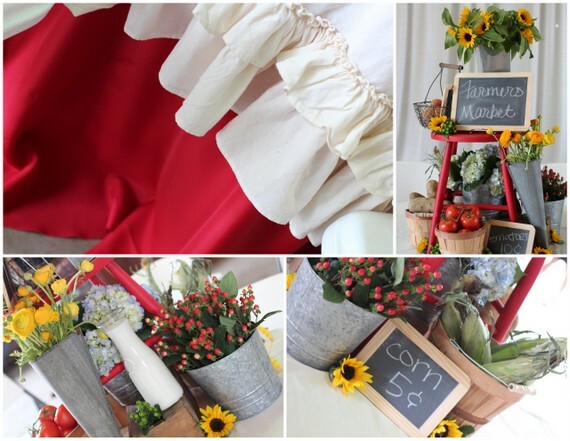 Tamara of Tamara Menges Designs used a darling ruffle overlay over a red tablecloth then stacked the table high with pretty yellow flowers and farmers market finds. Mrs. Bauer not only has a beautiful venue but she knows her way around a tablescape. 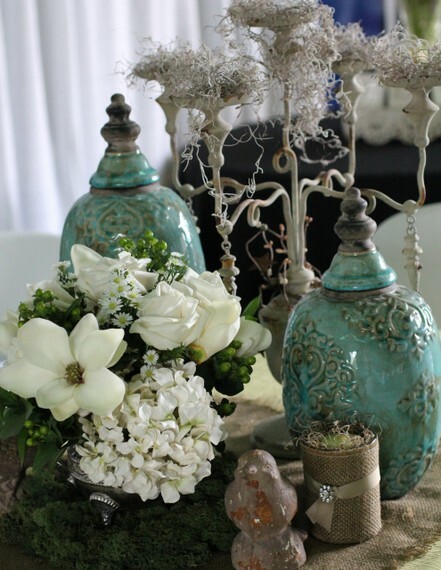 She did several lovely tables filled with ceramic jars, moss, checkerboard table cloths and lanterns! 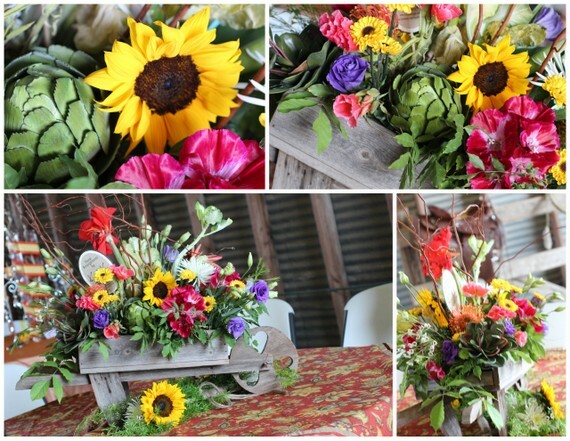 For K & K’s first table Carmen and Kathy filled a tabletop wheel barrow full of colorful flowers and set them on top of a floral overlay. 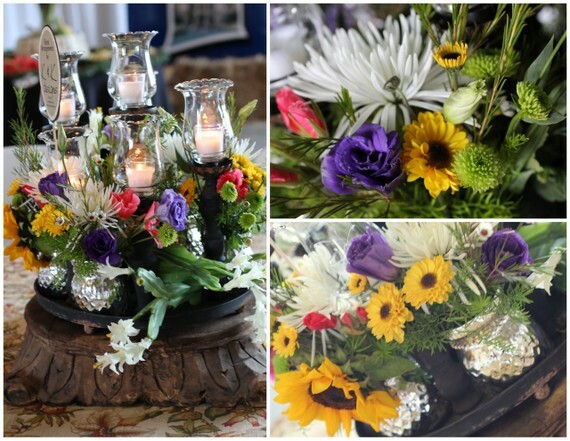 On our second table we used a centerpiece of multi height candle sticks and more sunny flowers in mercury glass containers for a little sparkle. We piled them up high on a carved wooden base. 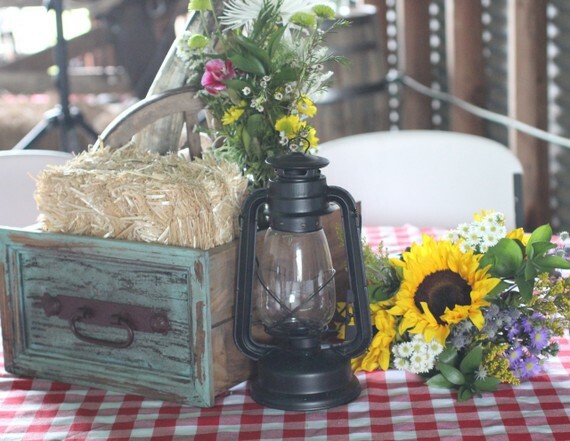 We also used our cardboard tassels and flowers to tie back the draping and filled mini jars with bunches of wildflowers to set around the venue. 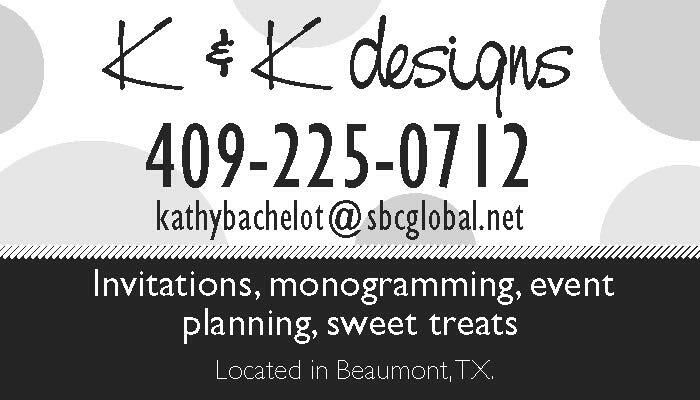 All in all it was a grand time filled with amazing vendors, great food and a band that knows how to have a good time. 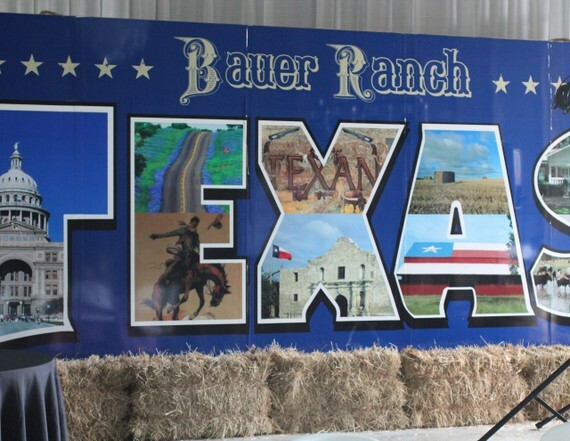 If you are looking for a venue to hold your wedding or upcoming event I highly recommend Bauer Ranch, where Texas Hospitality was born!